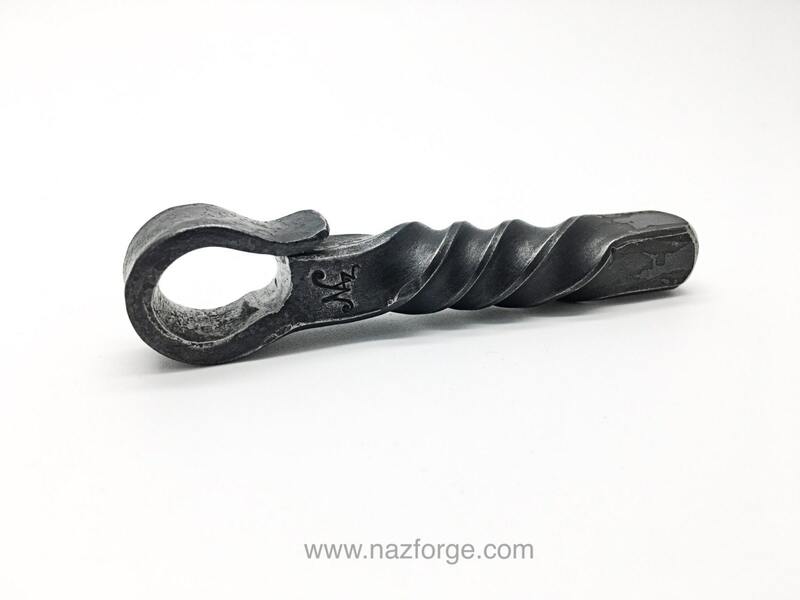 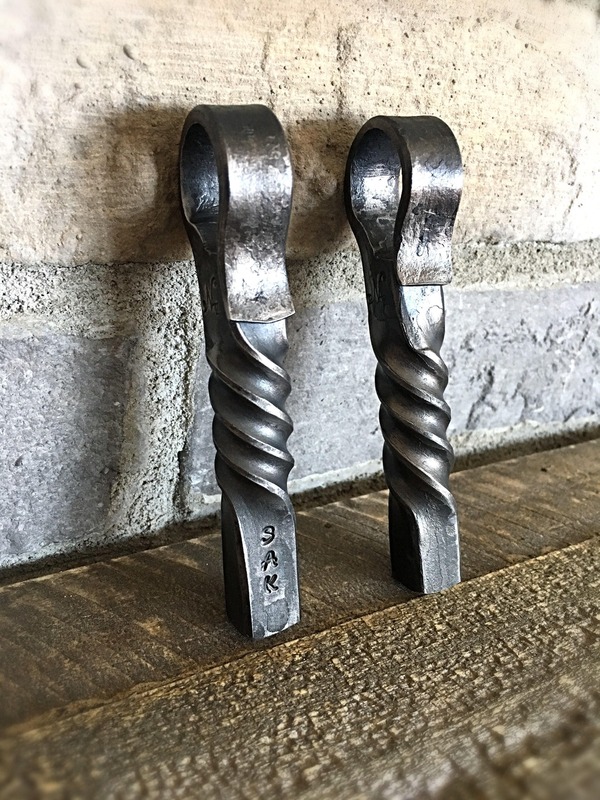 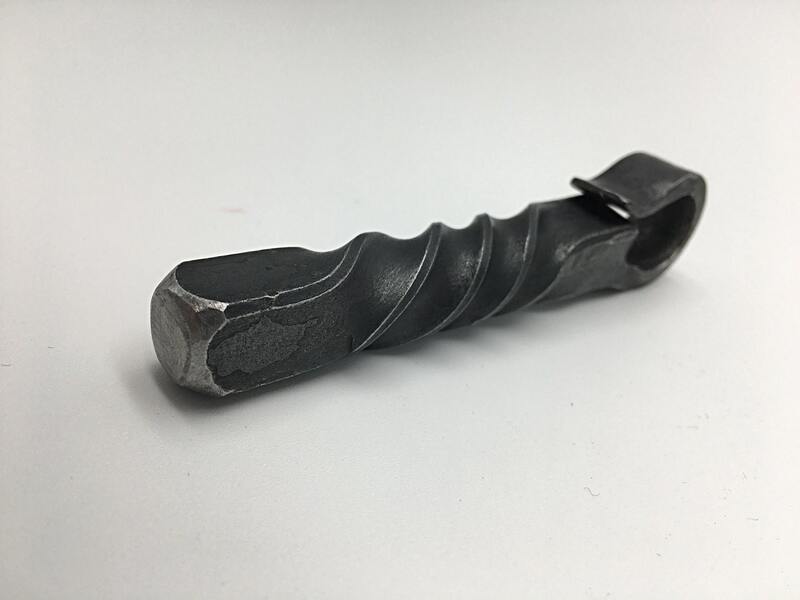 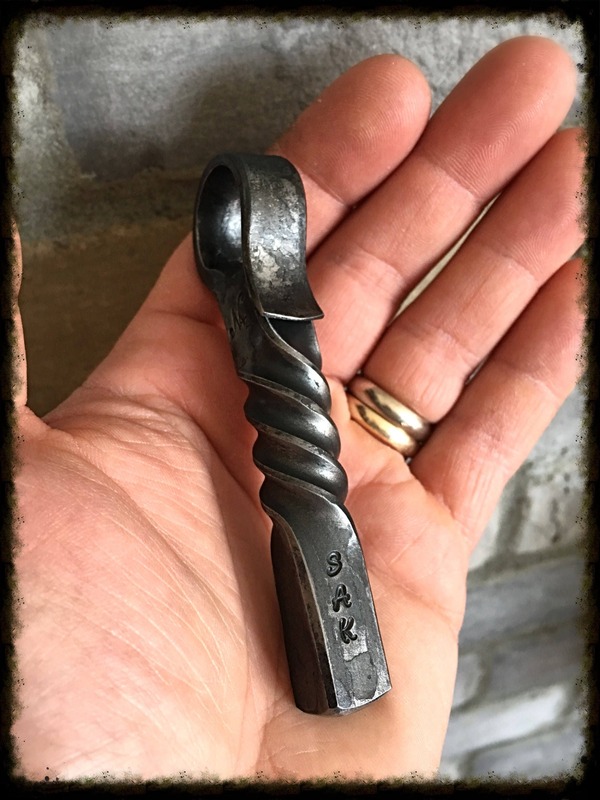 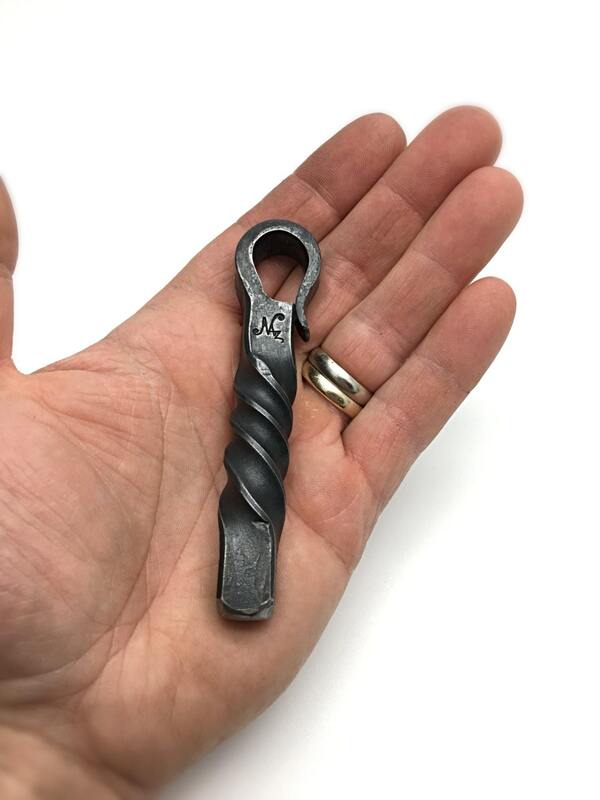 This fun and useful hand forged item will last forever. 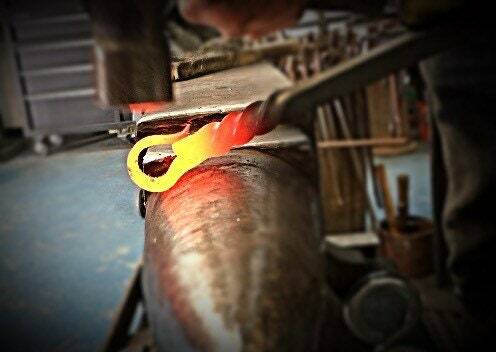 At a yellow/orange heat, I hammered a long taper at one end of the 1/2" iron square stock and formed a loop. 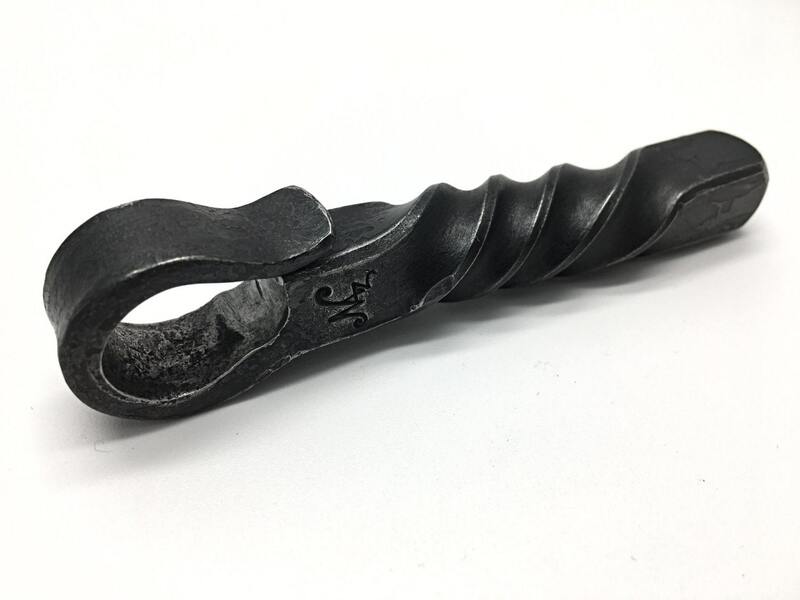 Next, I heated the middle section of the tool and twisted it for grip, at the same time giving it that traditional hand made look we all love... 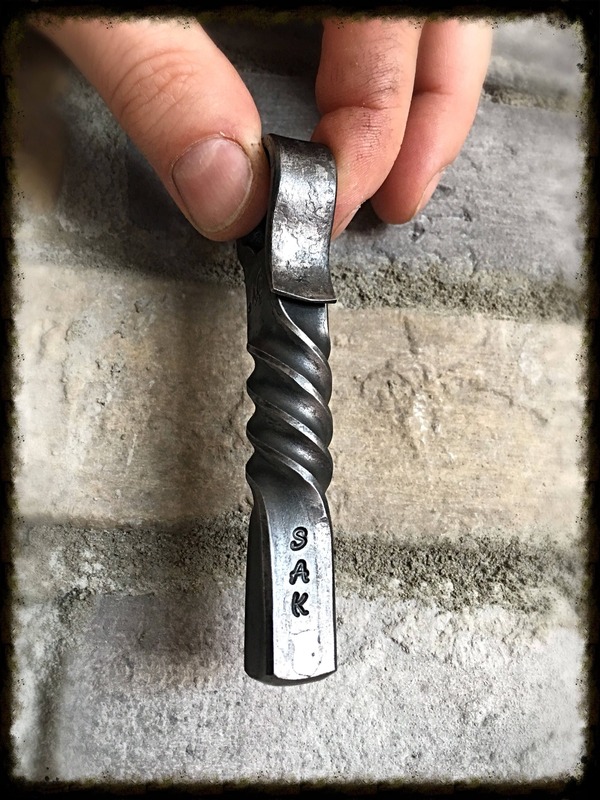 The end is slightly rounded.